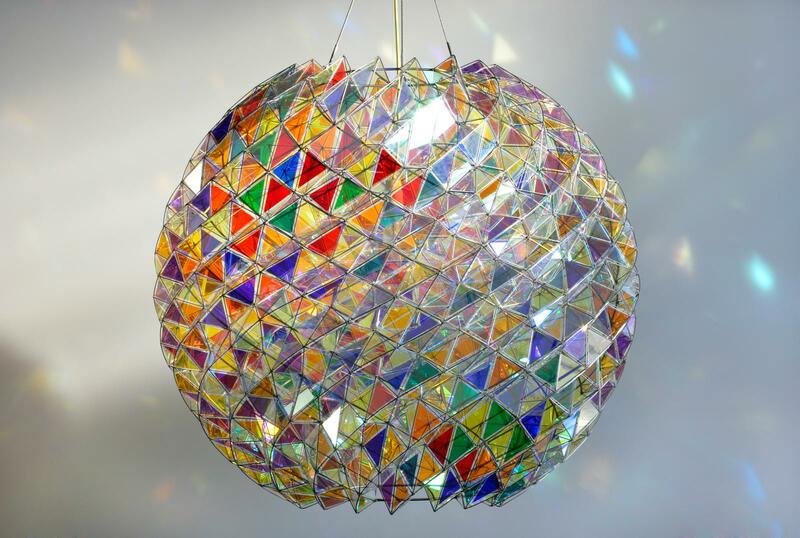 This sphere, its surface covered in coloured glass triangles, is illuminated from within. 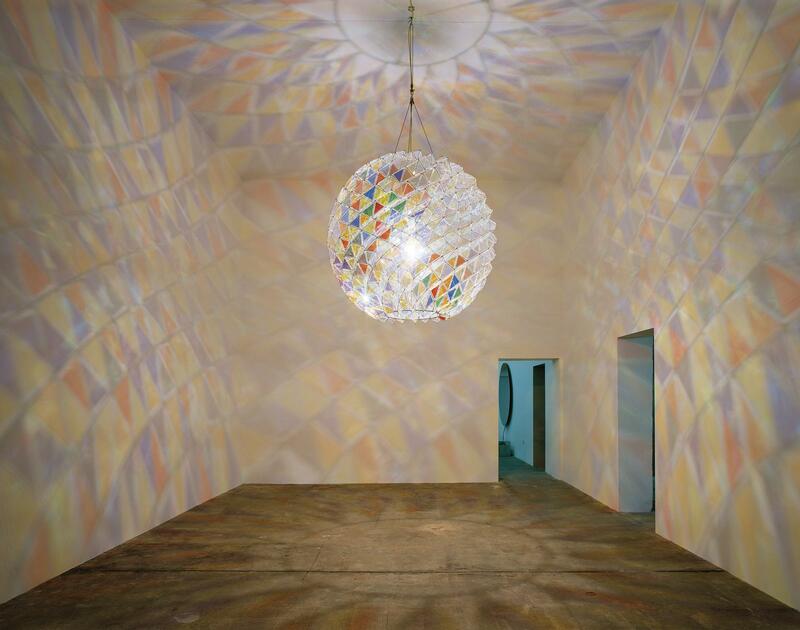 The walls, ceiling, and floor surrounding the hanging work are covered in the sphere's kaleidoscopic emanations. In a similar way, the observer provides an additional surface for the work's colourful radiance and, in so doing, becomes herself part of the artwork.